Very cool site - ObjectFetish.com - has the most unique wedding rings I've ever seen - and you can even ask for help with custom wedding rings. 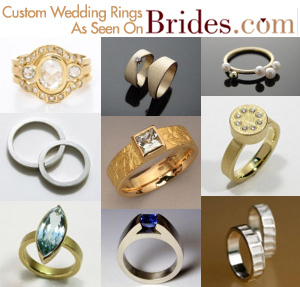 They have over 100 top stuff jewelers from all over the world, so if you are getting hitched, make your rings unique. The even offer gift certificates. I'll take one! Read more about Unique Wedding Rings !